Oxford’s beautiful art deco gem The Ultimate Picture Palace has been operating as an independent cinema since 1911 and is one of the ICO’s latest programming clients. We spoke to their Marketing & Events Manager Tom Jowett about the craziest stories from their century-long history (including almost coming to blows with Stanley Kubrick! ), the legacy of owner Becky Hallsmith and what they are planning for the future. You only need to look at The Ultimate Picture Palace (UPP) from the outside to realise what a special little cinema it is. That’s certainly what I first thought thirteen years ago when I moved to Oxford as a student. Unfortunately, back then, the interior didn’t really match the beautiful art deco exterior. It certainly had what you might call ‘charm’; the auditorium was cold, the seats were uncomfortable, and somewhat inexplicably there was a cement mixer at the back of the room! That said, it was the only place in Oxford where you could regularly go and watch foreign-language, arthouse, indie films and classics most days of the week. The fact that they didn’t show any adverts before screenings was a real bonus. Today, the UPP still has its quirks (look into the box office now and then and you’ll see the projectionist’s legs dangling down from the roof), but it has never been in better shape, both inside and out. Much of this is due to the hard work and passion of one person – Becky Hallsmith. 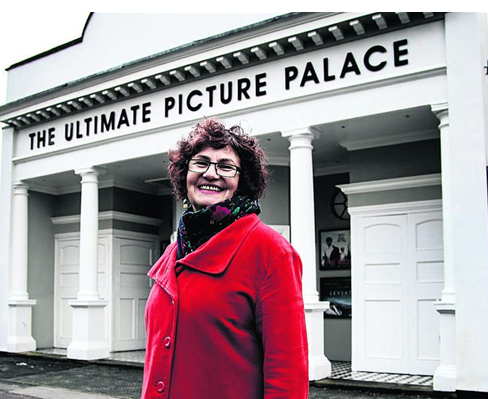 Becky has been the owner since 2011, buying the cinema in what she described as an impulse purchase. She soon devoted her time and energy into restoring the UPP to its former glory. It clearly needed someone to modernise the business and Becky had the determination to do exactly that, but she was also mindful about respecting the cinema’s long and intriguing history. The cinema has been a landmark cultural venue in Oxford ever since it was opened in 1911. Local businessman Frank Stuart used it to show short comedies, serials, melodramas, and news items such as the Oxford-Cambridge boat race. It wasn’t until the 1970s that the cinema really became a jewel in Oxford’s crown when Bill Heine and Pablo Butcher purchased the building and opened it as The Penultimate Picture Palace. They began in 1976 after a two-year renovation, which included the pair literally digging out space at the front of the auditorium for the installation of toilets. A large 3D pair of Al Jolson hands were mounted onto the front of the building by local artist John Buckley, who also stuck a 25ft model of a shark on the roof of Heine’s home in nearby Headington. The cinema quickly became notorious for wild, late-night screenings, adventurous programming, and a combative attitude to censorship – almost coming to blows with Kubrick over an unlicensed screening of The Clockwork Orange! After Heine and Butcher closed the business in 1994, the cinema was taken over by squatters for a few months and renamed Section 6 Cinema. It became a cultural and political hive in East Oxford showing free screenings for families as well as putting on live music and community events. 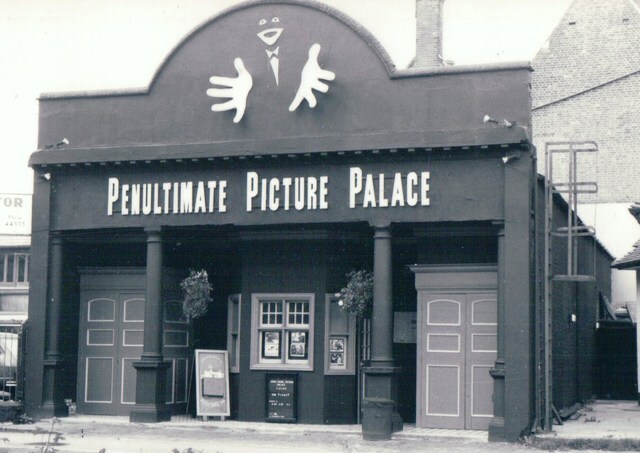 The final renaming of the cinema occurred in 1997 when former Penultimate Picture Palace employee Saied Marham and his brother Zaid reopened the cinema as The Ultimate Picture Palace. With all this history behind it, Becky knew that the business had significant goodwill from the Oxford locals. As ticket sales increased, the money was channelled into making significant improvements; this included the installation of a digital projector, a new screen, and upgrading the sound system. The interior and exterior of the building were also re-decorated, the washrooms improved, and a successful crowdfunding campaign helped pay for the installation of new, more comfortable seats. In 2013, the cinema was given an Oxford Preservation Award for the restoration and lighting of the facade making it one of the most beautiful landmarks on the Cowley Road, especially at night. When I started working for the UPP in 2016, ten years after my first visit, it was an honour to be employed by the organisation that I already had a lot of love for. After meeting Becky, the staff, the brilliant volunteers who help run the bar, and all the customers – it was clear that the cinema has an extraordinary place in the heart of our community. This was no more apparent last September with the outpouring of emotion when we broke the news that Becky had sadly died after a year-long battle with lymphoma. She was such a big, bold personality and a real loss, not just at the cinema, but for the community at large. We all still miss her dearly. She poured her heart and soul into the UPP, and the reason that the business is now in such good shape is mainly down to her. In December we held a fundraiser in her honour, screening one of her favourite films (The Philadelphia Story) and raised over £800 for Lymphoma Action. So what happens next? Since the new year, we’ve been working hard to see if we can fulfil Becky’s wish to turn our cinema into a community-owned business. We’ve set up a steering group and started to survey customers to ascertain whether there is enough interest and goodwill to investigate this further. Initial responses have been overwhelmingly positive. Whatever happens next, it’s very much our aim to continue running in the business on the same tracks set by Becky and in the spirit which the local community appreciates; varied programming, a friendly atmosphere, and a care and enthusiasm for cinema exhibition – an independently run business which locals are proud to support. And we still won’t show any adverts before our films! 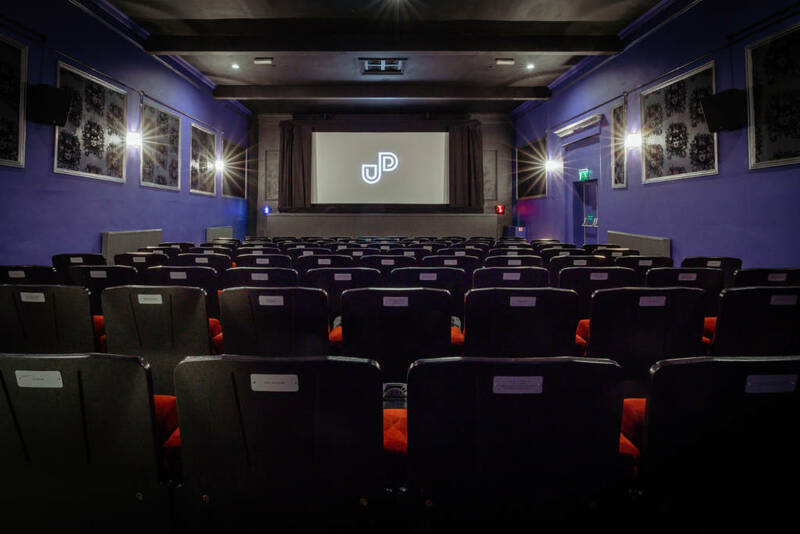 The Ultimate Picture Palace is a locally owned independent cinema just off East Oxford’s Cowley Road with a single screen cosy auditorium. They screen a mix of independent, mainstream, foreign-language and classic films. 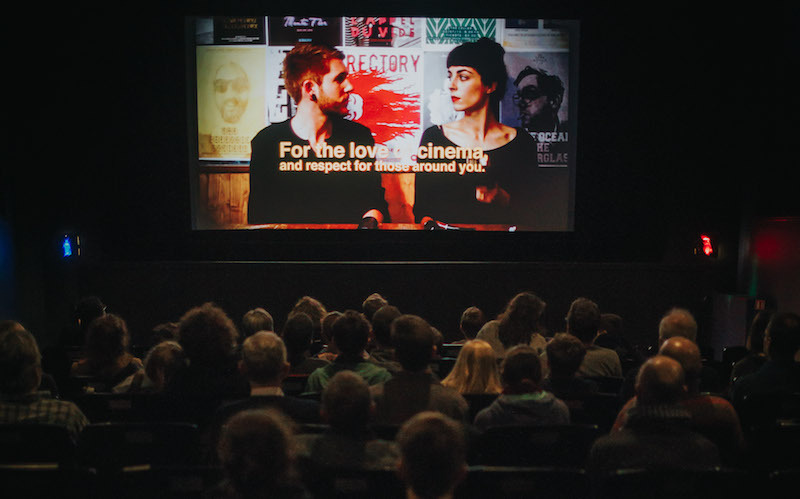 Our film programming service is at the heart of what the Independent Cinema Office offers. Our expert team of programmers work closely with our clients to understand their needs and what local audiences will respond to. Explore how we can help your venue and get in touch. To donate to Lymphoma Action, please visit Becky Hallsmith’s memorial fund.